She assists in the operations of the organizational function, direction and administration of the Therapeutic Services, Inc. P.C. by working collaboratively as a key member of the administrative team to determine and develop programs. Desiree is essential in formulating operational objectives and procedural guidelines. In addition, she oversees critical and sensitive departmental functions. 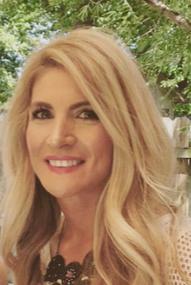 Desiree is available for guest speaking events to network and market services provided by the licensed professionals at Therapeutic Services, Inc., P.C. She has been a vital member of Therapeutic Sevices, for over 10 years while serving the community and professionals. Desiree has an Associates Degree from Tulsa Community College and has attended Oklahoma State University.